London’s urban edge is the inspiration for a brilliant edit of day-to-night heels, vintage-style jackets and easy blouses to complement the jeans. 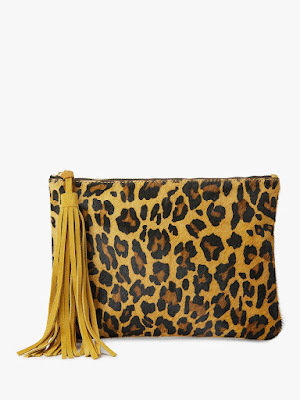 With West Coast cool and London style, the AND/OR collection exclusive to John Lewis takes you wherever you want to go. Californian design duo Calvin Rucker bring their denim pedigree and LA style to a curated collection of authentic cuts, heritage washes and ultimate finishes. In an easy batwing shape, AND/OR offer a refresh on the classic striped shirt, giving it a modern open neckline and 3/4 sleeves. 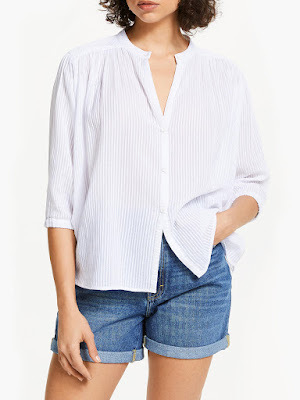 With tonal stripes throughout and a cotton-heavy blend on the fabric for lasting softness and comfort but with a light, fluid fit, it can be tucked into culottes or worn loose with denim any day of the week. A contemporary silhouette to elevate your everyday look, this biker jacket from AND/OR is an effortless style with timeless appeal, a smooth suede version of our leather biker jacket. Made from beautifully soft leather with a lovely drape, this collarless jacket features an asymmetric front zip, popper fastenings at the neat neckline and full-length sleeves. Punctauted with stitch detailing at the shoulders and double buckles at the hem for a directional edge, this jacket is fully lined for comfort. A statement style, contrast stars adorn the upper in a tactile finish. With lace-up fastenings and a rubber sporty sole, this pair is lined in leather for added comfort. 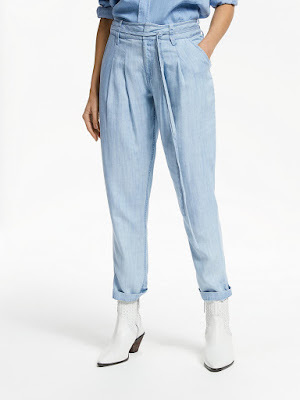 Designed, cut, washed, sewn and hand-finished in L.A. in collaboration with Calvin Rucker, the Avalon Ankle Grazer jeans will bring your denim assortment right up to date. Cropped with a cool let down hem, these skinny jeans feature black trims with blasting detailing for a truly authentic feel. Made from a cotton-stretch blend and soft to the touch, this style with hug your figure beautifully. There’s no need to worry about colour fade as the 'stay black' wash will remain rich and fresh season after season. 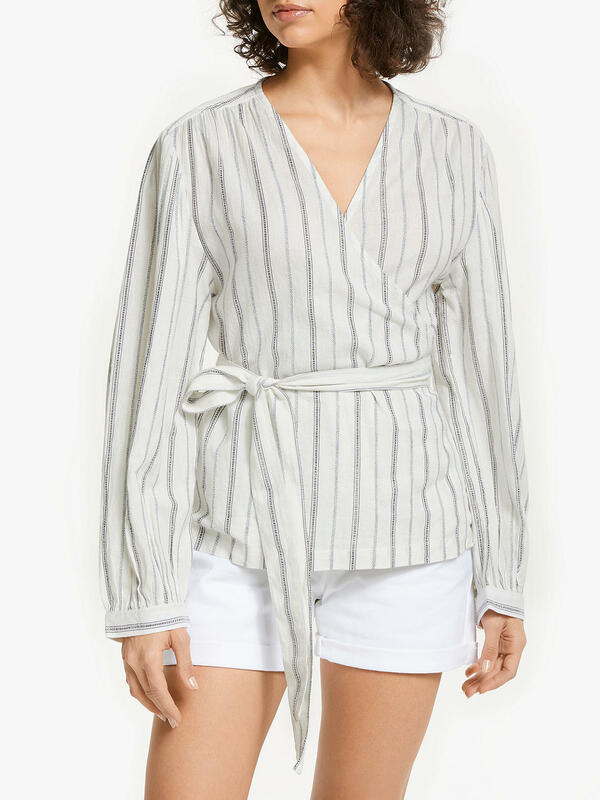 The Reece top from AND/OR offers subtle vintage style with blouson sleeves, a wrap over cut and tie waist detail to mark out your silhouette. With buttoned cuffs for a neat finish, the cotton fabric ensures lasting softness and a robust fit and feel, while the vertical stripes keep it versatile in style. Elevate your look with these Avolene court shoes from AND/OR. 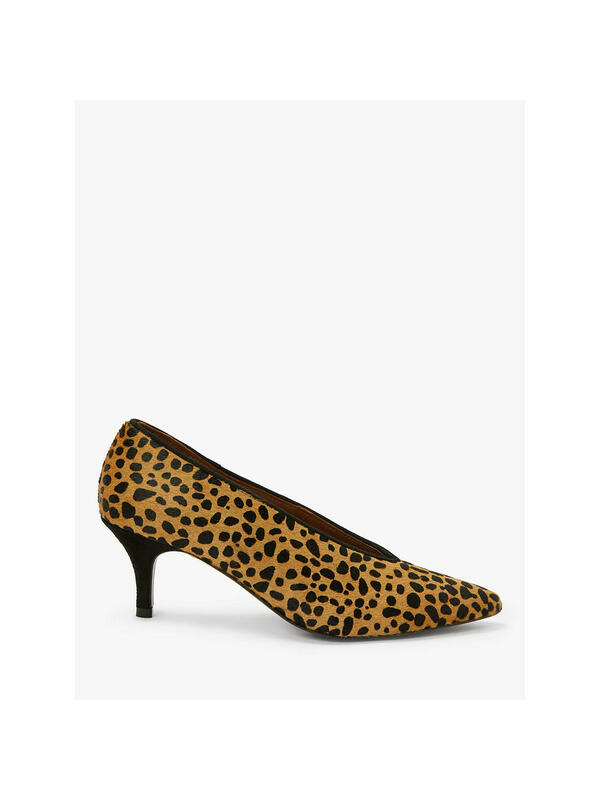 Lined in leather, this shoe slips on with ease and is set on a kitten heel. 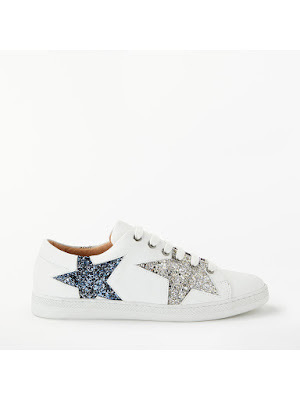 It has a distinct V-shape upper and sleek pointed toe. Combine with tailoring for modern appeal or style with jeans to lift pared-back looks. 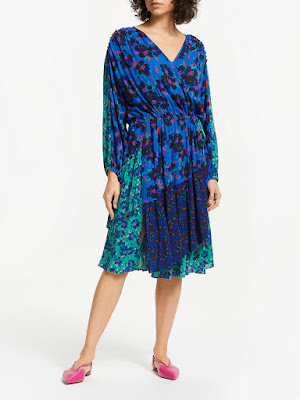 Designed with statement patchwork floral panels in a ruffled design, this wrap dress from AND/OR offers a vintage-inspired look, with the patchwork design adding a ruffled volume, matched by the elasticated wrist cuffs. In a flattering wrap over shape, this dress works well dressed up or down - try pairing it with strappy heels and a biker or go casual with a denim jacket and trainers. Made from a soft lyocell fabric, these trousers have an elegant drape that's tapered into a slim-leg fit. Pleating at the waist enhances the shape, while its high-cut tie waist makes them the perfect partner to tucked-in tops. 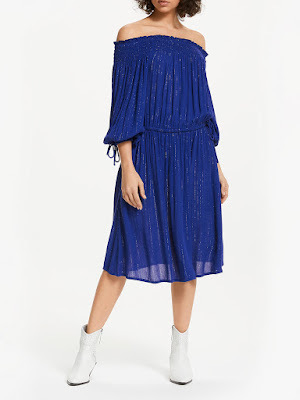 Lightweight viscose fabric gives this AND/OR dress a fluid, floaty fit, perfect as a base for the vintage-style off-shoulder neckline and smocking detail at the top, waist and sleeves. Delicate ties create the blouson sleeves, while the dropped waist adds a boho vibe. Designed with a vibrant animal print and playful tassel, this statement Isabella clutch bag from AND/OR has room for all your going-out essentials.